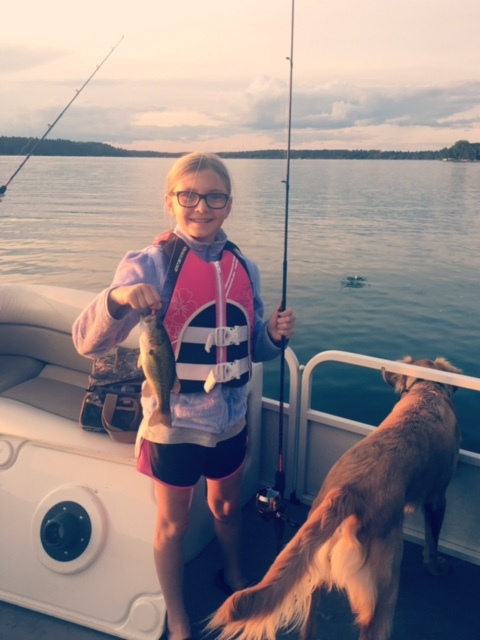 Gabby, who is 10 years, was fishing with her mom and her sister, Taylor, on the east side of the lake near Dakota Shores. Gabby caught this large mouth bass with a pink jig on Saturday, August 5th, around 8:30 pm. She loves to fish because it's entertaining and fun, plus she likes to out fish her mom! !